My father really -- he never told us what we had to do in terms of working the stores. We loved the stores. It's where the action is. 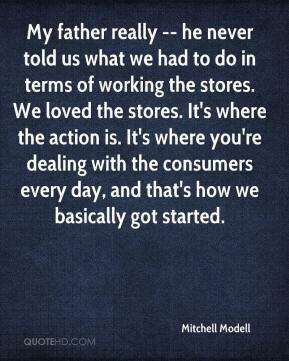 It's where you're dealing with the consumers every day, and that's how we basically got started. Michael and I have a phenomenal relationship. 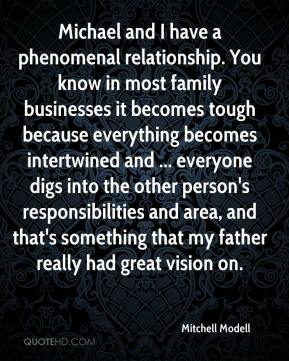 You know in most family businesses it becomes tough because everything becomes intertwined and ... everyone digs into the other person's responsibilities and area, and that's something that my father really had great vision on.